The inspiration to the following research was a CTF task called namespaces by _tsuro from the 35C3 CTF. While solving this challenge we found out that creating namespace-based sandboxes which can then be joined by external processes is a pretty challenging task from a security standpoint. On our way back home from the CTF we found out that Docker, with its “docker exec” functionality (which is actually implemented by runc from opencontainers) follows a similar model and decided to challenge this implementation. a malicious process inside a container (e.g. a compromised Dockerized service running as root). starting a malicious Docker image. This vulnerability was assigned CVE-2019-5736 and was officially announced here. Docker containers have a very limited set of capabilities by default, which makes a container root user de facto an unprivileged user. This mechanism allows to limit containerized processes’ access to the host filesystem, as well as it limits the visibility of processes across the host/container boundary. The control groups (cgroups) mechanism allows to limit and manage various types of resources (RAM, CPU, ...) of a group of processes. It’s possible to disable all of these mechanisms (for example by using the --privileged command-line option) or to specify any set of syscalls/capabilities/shared namespaces explicitly. Disabling those hardening mechanisms makes it possible to easily escape the container. Instead, we will be looking at Docker containers running the default security configuration. Before we ended up finding the final vulnerability we had tried many other ideas, most of which were mitigated by limited capabilities or by seccomp filters. joins the rest of the namespaces (mount, net etc.). If we could ptrace that process as soon as it visible to us (i.e. right as it joined the PID namespace), we could prevent it from joining the rest of the namespaces, which would in turn enable e.g. host filesystem access. Not having the required capabilities to ptrace could be bypassed by performing an unshare of the user namespace by the container init process (this yields the full set of capabilities in the new user namespace). Then “docker exec” would join our new namespace (obtained via “/proc/pid/ns/”) inside of which we can ptrace (but seccomp limitations would still apply). It turns out that runc joins all of the required namespaces and only forks after having done so, which prevents this attack vector. Additionally, the default Docker configuration also disables all namespace related syscalls within the container (setns, unshare etc.). /proc/pid/mem - This doesn’t give us much by itself, as the target process needs to already be in the same PID namespace as malicious one. The same applies to ptrace(2). /proc/pid/cwd, /proc/pid/root - Before a process fully joins a container (after it joins namespaces but before it updates its root (chroot) and cwd (chdir)) these point to the host filesystem, which could possibly allow us to access it - but since the runc process is not dumpable (read more: http://man7.org/linux/man-pages/man2/ptrace.2.html), we cannot use those. /proc/pid/exe - Not of any use just by itself (same reason as cwd and root), but we have found a way around that and used it in the final exploit (described below). /proc/pid/fd/ - Some file descriptors may be leaked from ancestor namespaces (especially the mount namespace) or we could disturb parent - child (actually grandchild) communication in runc - we have found nothing of particular interest here as synchronisation was done with local sockets (can’t reuse those). /proc/pid/map_files/ - A very interesting vector - before runc executes the target binary (but after the process is visible to us, i.e. it joined the PID namespace) all the entries refer to binaries from the host filesystem (since that is there where the process was originally spawned). Unfortunately, we discovered that we cannot follow these links without the SYS_ADMIN capability (source) - even from within the same process. Then /evil_binary could overwrite /proc/self/exe and thus overwrite the host ld.so. This approach was unsuccessful due to the aforementioned SYS_ADMIN capability requirement. when a regular process tries to execve “/proc/self/map_files/any-existing-entry”, it will deadlock (and then opening “/proc/that-process-pid/maps” from any other process will also hang - probably some lock taken). The final successful attempts involved an approach very similar to the aforementioned idea with /proc/self/map_files - we execute /proc/self/exe, which is the host's docker-runc binary, while still being able to inject some code (we did that by changing some shared library, like libc.so, to also execute our code e.g. inside libc_start_main or global constructor). This gives us ability to overwrite /proc/self/exe binary which is the docker-runc binary from the host, which in turn gives us full capabilities root access on host next time docker-runc is executed. Replace any dynamic library used by docker-runc with a custom .so that has an additional global constructor. This function opens /proc/self/exe (which points to the host docker-run) for reading (it is impossible to open it for writing, since the binary is being executed right now, see ETXTBSY in open(2)). Then this function executes another binary which opens, this time for write, /proc/self/fd/3 (a file descriptor of docker-runc opened before execve), which succeeds because docker-runc is no longer being executed. The code can then overwrite the host docker-runc with anything - we have chosen a fake docker-runc with an additional global constructor that runs arbitrary code. The entrypoint/exec binary that has been symlinked to /proc/self/exe (which in turn points to docker-runc on the host filesystem) begins executing within the container (this will also cause process to be dumpable, as execve sets the dumpable flag). To be clear: this causes the original docker-runc process to re-execute into a new docker-runc running within the container (but using the host binary). When docker-runc begins executing for the second time, it will load .so files from the container, not the host (because this is the visible filesystem now). As a reminder: we control the content of these dynamic libraries. The malicious global constructor function will be executed. It will open /proc/self/exe for reading (let’s say it will have file descriptor 3) and execve()s some attacker controlled binary (let’s say /evil). /evil will overwrite docker-runc on the host filesystem (by reopening fd 3, this time with write access) with a backdoored/malicious docker-runc (e.g. with an additional global constructor). Now when any container is started or another exec is done, the attacker’s fake docker-runc will be executed as root with full capabilities on host filesystem (this binary is responsible for dropping privileges and entering namespaces, so initially it has full permissions). Note that this attack only abuses runc (opencontainers) behavior, so it should work for kubernetes as well, regardless of whether it uses docker or cri-o (both may use runc internally). This attack has serious impact on AWS and GCP cloud services. More information about it can be found at linked security bulletins. We have reported the vulnerability to security@docker.com the same day we discovered it, including a detailed attack description and a proof of concept exploit. The next day the Docker security team forwarded our email to security@opencontainers.org. We also actively participated in discussions regarding fixing the vulnerability. Communicating with the Docker and OpenContainers security teams was frictionless and pleasant..
Open the destination binary and compare inode info from fstat(2) with /proc/self/exe and exit if they match, otherwise execveat on destination binary fd. This would detect if destination binary is a symlink to /proc/self/exe. Why execveat? Because we want to avoid the race condition where between comparison at exec some other process will replace destination binary with link to /proc/self/exe. This can be bypassed when attacker will not use symlink, but a binary with dynamic loader pointing to “/proc/self/exe”: e.g. text file which has “#!/proc/self/exe” as first line or just an elf file. The idea of this is to avoid code execution possibility via malicious .so files inside the container (a static binary means no .so files are loaded). Replacing .so files was not actually needed for this exploit. After the re-exec of /proc/self/exe (docker-runc), another process can just open /proc/<pid-of-docker-runc>/exe, which is possible because ”dumpable” flag is set on execve. This is a little bit harder to exploit because it requires to race the timing between the re-exec completing and runc process exiting (due to no parameters given). In practice, the race window is so large that we were able to develop a 100% successful exploit for such a scenario. However this would eliminate one of the attack vectors: running a rogue image. Create a memfd (a special file which exists only in memory). Copy the original runc binary to this fd. Before entering namespaces re-exec runc from this fd. This fix guarantees that if the attacker overwrites the binary pointed to by /proc/self/exe then it will not cause any damage to the host because it’s a copy of the host binary, stored entirely in memory (tmpfs). Use Docker containers with SELinux enabled (--selinux-enabled). This prevents processes inside the container from overwriting the host docker-runc binary. 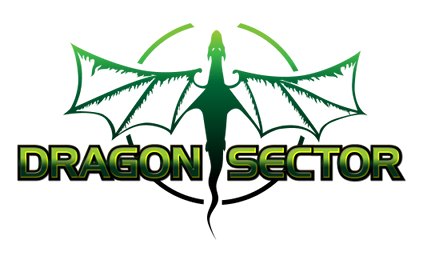 Dragon Sector wins CTFtime season 2018!